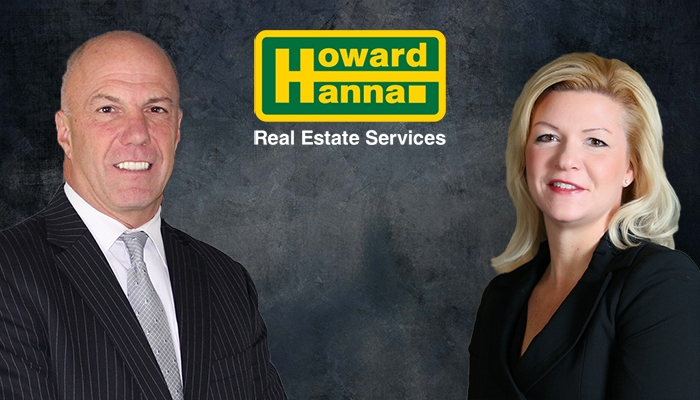 Buffalo, New York (June 4, 2018) – Howard Hanna Real Estate Services has been experiencing extraordinary growth and record-breaking sales since its acquisition of Nothnagle Realtors and RealtyUSA. In 2017, the state of New York had a sales volume of nearly $4.9 billion and 30,418 units achieved by the 3,000 agents who cover 40,000 square miles. In order to ensure that each region in New York is supported in achieving its strategic initiatives, there are two important changes happening to the management team there. Karen Leonardi is now Senior Vice President of the Western District, and Albert Picchi is now Senior Vice President of the Eastern District. Leonardi started in 2008 as the Vice President of Corporate and Consumer Affairs, and prior to that she was the CEO of the Greater Rochester Association of Realtors. Over the years, she has been involved in all aspects of the business, including the rebrand of Nothnagle Realtors and RealtyUSA in 2017. Picchi began his current role as Vice President and Regional Manager of RealtyUSA in December of 2001. After RealtyUSA became Howard Hanna Real Estate Services, he continued in the position, overseeing the Capital Region of over 500 sales associates and employees. In 2017, this region had over $1.2 billion in sales volume. He has an MBA and is also a Certified Real Estate Brokerage Manager. Locally, he has served on a number of area charitable boards, including Junior Achievement of NENY, the Cohoes Savings Foundation Board, and the Eastern New York Regional MLS Board. Armand D’Alfonso is also excited for Picchi’s expanded leadership position in New York. “Al has a long history of commitment to his team, and we’re thrilled to have him in this new role. He is a driven real estate professional who is results-oriented and will bring his unique drive and local experience to his new position as Senior Vice President of the Eastern District,” said D’Alfonso. Howard Hanna Real Estate Services has been helping buyers and sellers for decades and has a dominant market share throughout the state of New York. Under the capable leadership of Leonardi and Picchi, the company expects to continue its growth, expansion, and top market share position. Howard Hanna Real Estate Services is the 3rd largest real estate company in America, the #1 privately owned broker in the nation, and the largest home seller in Pennsylvania, Ohio and New York. The family-owned and operated real estate company specializes in residential and commercial brokerage service, mortgages, closing and title insurance, land development, appraisal services, insurance services, corporate relocation and property management. With 262 offices across NY, PA, OH, VA, MI, WV, NC and MD, our more than 9,200 sales associates and staff are guided by a spirit of integrity in all aspects of the real estate process.